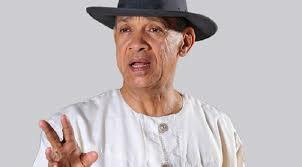 Ben Murray Bruce, the senator representing Bayelsa East and the chairman of Silverbird Group, had over the weekend cited the civil war, otherwise known as the Biafran War, as the reason why Nigeria has not grown technologically. Senator Murray Bruce who was in Aba, stated this on Saturday, August 27, 2016, while addressing the International Youth Day Conference which was organised by the Vision Alive Empowerment under the recognition of the United Nations, UN. While speaking on the theme, “How To Make A Good Choice While At The Youthful Age,” the senator revealed more about his youthful age stating that the right choice he made during his youth led him to become a successful businessman. He explained why Nigeria is not growing in the tech world, and why technology is not contributing to the Nigeria’s economy. “Nigeria is moving backward because they think that they are smart, and they do everything possible to erase the Nigeria/Biafra civil war in the history by burning and destroying all the tech tools which Biafrans used during the civil war,” Bruce was quoted as saying. Furthermore, the senator said, had Nigeria keep those tech tools and maintain the history of the civil war, with the massive tech tools owned by the Biafrans, Nigeria would have excelled worldwide and make a good fortune out of it. “Look at United State of America today, most of their technology experts are not Americans and most of their tools they use are Chinese owned tools, because during those days Chinese were like slave to them and they see the potentials inside the Chinese and utilized it. “Likewise, when Nigeria thinks that they have defeated Biafrans during the civil war, that was when General Yakubu Gowon declared ‘no victor no vanquish.’ Had Nigeria kept those Biafran tech tools they used during the civil war and utilized them, you can imagine where Nigeria would have been today in the technology world. “Nigeria thinks they played a smart deal by burning it and destroying it because they are afraid of Biafra and it has always been their worst nightmare, but they made a big mistake and it has drawn us backward rather than forward in the technology world today. “Nigeria can’t stand without the South East. Also the Igbos, South East precisely should focus on their God gifted gift and maybe politics isn’t their calling, they have been technologically and Business endowed. “Igbos are blessed, South East are blessed, only if they can look beyond Nigeria politics and focus on the God gifted talent, they will excel, and be great again. “Seceding or agitation isn’t the solution only if they can realize their great potentials and focused on it, develop and build South East, look beyond Nigeria politics, since it seems like it’s not their calling,” he added.